Headphones Can Disrupt Implanted Heart Devices Three years ago, a 17-year-old reported that an iPod can disrupt a pacemaker or an implanted defibrillator. It turns out he's nearly right: It's the headphones that can cause the devices to malfunction. A new study shows that magnets in the headphones of many portable listening devices are more than strong enough to interfere with pacemakers or implanted defibrillators. In 2007, a researcher reported that an iPod can interfere with a pacemaker or an implanted defibrillator. But the study was questioned, largely because the researcher, Jay Thaker, was a 17-year-old Michigan high-school student. 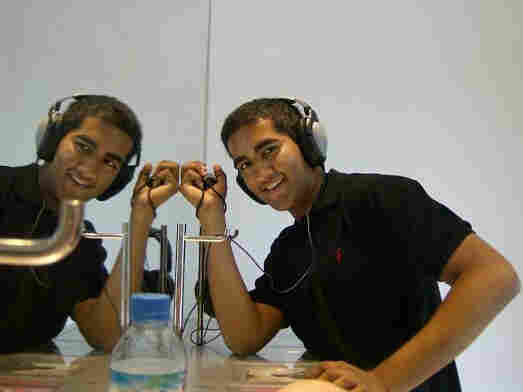 Now, new research shows that Thaker was onto something — in fact, the magnets used in headphones are more than strong enough to disrupt implanted cardiac devices. This new research came about because Thaker's study caught the attention of another doctor at the 2007 meeting of the Heart Rhythm Society — a group of medical professionals in the fields of cardiac pacing and electrophysiology — where Thaker presented his paper. "I think it was provocative, and I think in many respects he deserves a lot of credit for bringing the issue to the forefront and for fostering more study of the issue," says Dr. William Maisel, a cardiologist at Beth Israel Deaconess Medical Center in Boston and also the founder of the Medical Device Safety Institute, an independent center that studies the safety of medical devices. Maisel was skeptical that an iPod or other digital music player could cause a pacemaker or defibrillator to malfunction. And, a subsequent study by the federal Food and Drug Administration in 2008 showed that was highly unlikely. Still, it got Maisel thinking about another part of the iPod: the headphones. "What we did know is that portable headphones, the type of headphones that are used with MP3 players, contain powerful magnets," he says. "And magnets can interact with pacemakers and defibrillators." Headphone magnets vibrate a speaker to create the sound waves that we hear. The scientist was surprised when he started testing those headphone magnets: Most were very strong — up to more than 20 times the strength needed to interfere with a pacemaker. He went to a local electronics store and bought different portable headphones. To test them, Maisel brought in a hundred patients with pacemakers and defibrillators. He put the headphones on their chests and monitored the devices. In 30 percent of cases — for 38 percent of patients with implanted defibrillators and 20 percent of patients with pacemakers — the headphones created interference that could block the implanted cardiac devices. His study is published in the new issue of HeartRhythm. But it was an easy problem to fix. Patients just had to keep the headphones a small distance off their chests. 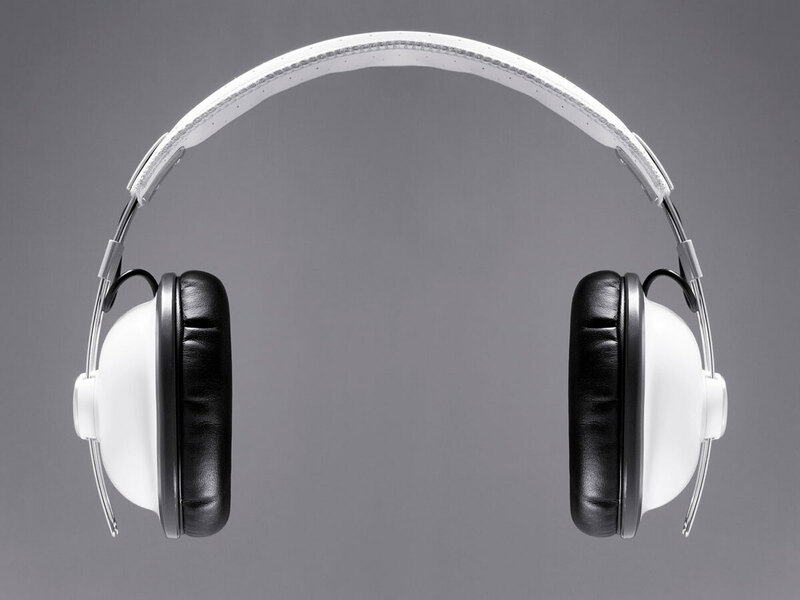 "We advise patients to keep headphones at least 3 centimeters, which is 1.2 inches, away from their chest wall, because we did not observe a single interaction when the devices were kept at that distance," Maisel says. For those with an implanted cardiac device, Maisel says they shouldn't drape headphones over their shoulders or put them in a shirt pocket or front jacket pocket. And they shouldn't let a loved one — the researchers imagined a grandchild — who is wearing headphones rest on top of their chests. The good news, Maisel says, is that it's safe for people with pacemakers and defibrillators to listen to music with headphones. "It's OK for them to listen to music," he says, "because the distance from their ear to their devices is sufficiently far that there will not be an interaction." He notes that a lot of the older people in his study — the test subjects ranged in age from 43 to 97 — said they are regular users of iPods and other MP3 players. As for that Michigan high-school student: He's no 17-year-old whiz kid anymore. He's a 19-year-old whiz kid. Thaker is a junior at Michigan State University. He's the son of two physicians, and he got the idea for his first study because his father, an electrophysiologist, had just published a paper that looked at whether ultrasound devices interfere with pacemakers. The son has continued to publish studies looking at whether iPods can interfere with medical devices. He has worked with a professor, his father's colleague at the University of Michigan, and with professors at Michigan State. And he's glad Maisel and others have picked up on his early work. "I think we got people thinking about something that maybe wasn't as prevalent in the medical community before," Thaker says. "I think it just reinforced in people's minds that with all these new technologies and with technology continually developing faster, we really have to keep an eye on how it's going to interact with these different medical devices, so we can keep patients safe and keep them aware of what's going on." But ask Thaker what he's listening to on his iPod these days, and he has a hard time naming any music. He's taking the medical school admissions test in the spring, and recently he bought a review course. "They have an MCAT review out, and I copied that onto my iPod from the CDs," he says. "I think that's all I've been listening to — in the car, when I'm running, just nonstop, I've been listening to these CDs."